But is Axl up for it? 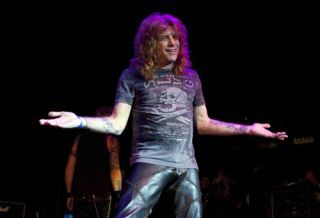 Adler told Billboard.com that four out of the five original guys would jump at the chance of dusting off some Appetite For Destruction-era classics. The only problem is that the ever-controversial, kilt-clad frontman Axl Rose is the one that isn't so enamoured with the idea of resurrecting the band's late '80s line-up. The platinum-haired sticksman said: "I know the four of us besides Axl would love to do it. I know besides millions and millions and hundreds of millions of dollars that would be involved, I think if we played for the whole world, it would be such a relief...like, 'God, they're finally playing!' It's what so many people really want, y'know?"